Running a Pilates studio can be hard. While teaching Pilates is a rewarding experience running a business can be a very frustrating and draining one. During your Pilates teacher training program you were taught how to TEACH, how to modify the exercises for different clients, how to help students with different conditions. But I have not heard of a single Pilates teacher training program that provides resources on how to run a business. I am exhausted. I teach 60-80 hours a week at my studio! Where is the work/life balance? I have trouble keeping a consistent cash flow at my studio. How do I market my studio? I don’t have a huge marketing budget. I am in a small town where nobody knows about Pilates. I am in a very competitive market with hugh studios on every corner. How do I compete with them? I can barely make my ends meet. The studio is not bringing enough PROFIT. This list is far from being complete. I totally get the frustrations of Pilates business owners. We got into Pilates to TEACH, not to run a business machine. However, I also know Pilates studio owners who love what they do and were able to build thriving studios that support their lifestyle instead of taking over their lives. Would you like to pick the brain of one of these studio owners? Let me introduce Wendy Andersen to you. I first heard about Wendy about 6 months ago when one of my clients (I manage the Pilates studio website for her) asked me to make some changes saying “Wendy insists that I get this done on my website.” Ok, we got it done. And then in a couple of weeks there was another change that we had to do. All of the changes were great additions to the website of my client so I could tell that whoever that “Wendy” gal was she knew what she was talking about. While my specialty is in building optimized websites for Pilates studios and individual instructors, I am definitely not an expert in running a studio or maximizing studio profits. I could not wait to connect with Wendy Andersen and ask her some of the questions that many of my clients had. I signed with with More Money More Clients Program in December 2017. Inside that program, Wendy restructured my business and I went from scratching my head wondering why new people weren’t calling this great new studio opened, to signing up 9 new people in 12 weeks. I then signed up for Wendy’s PSO Mastermind and in those next six months I was able to fill the studio with the equipment we did not have, max out both my instructors schedules, and be able to offer The Pilates Center of Boulder teacher training program and become a Host Studio. At the one year anniversary of my studio opening, we tore out walls to expand the studio and with the financial guidance I revived in PSO Mastermind, I was able to do it on cash and renegotiating with my landlord to cover some with a new lease. I never imagined that signing up with Wendy would lead to all of this growth. I continue to work with Wendy and will for the foreseeable future. Here are some of the questions that Wendy and I discussed in this packed with practical info interview. Be prepared to take notes and feel free to ask questions in the comments! What was it like to open a Pilates studio in a small town with a population of just 1000? What are the biggest mistakes that many studio owners make that keep them from maximizing their studio profits? What does it actually take to run a profitable Pilates studio? What are 3 practical steps that any studio owner can do on their own to increase their profits? What are the most effective marketing strategies for a Pilates studio? 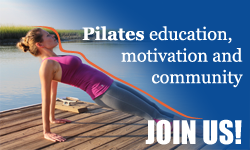 Pilates Studio Owners Network FB group – this group is free to join for all Pilates studio owners. Ask your questions in the comments below and share this interview with your friends – Pilates instructors who need help running a studio or are thinking about opening one. How do you market your studio on Linkedin when it is geared to an individual?